In 2016, The Bromsgrove Young Musicians’ Platform (BYMP) made its debut for those young musicians still at school. Its Chairman, Alison Webber, secured a strong team of supporters to launch it successfully. Worcestershire Music Services supported the venture in providing communication to State Schools. 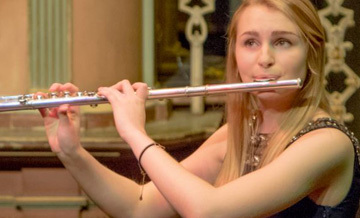 Nearly fifty potential finalists were auditioned at the Elgar School of Music in Worcester. The Finalists’ Concert took place at the Huntingdon Hall, Worcester on Thursday 10th March. There were two sections – a Junior Section for those 9 to 13 years of age and a Senior Section for those aged 14 to 17. The quality of the young musicians, even though as a pilot the Platform was restricted to entries from Worcestershire alone, was extremely high. Generous bursaries were awarded to winners and runners up in each section aimed at developing their musical talent. Later in 2016 Bromsgrove School began their development of their Arts facilities which involved re-furbishment of their Routh Hall to include a new concert hall and rehearsal rooms. The new Routh Concert Hall will in 2018 become the Platform's permanent home as part of the kind and generous support the BIMC has received from the governing body of the school. In February 2017 BIYMP again held auditions in the Elgar School of Music in Worcester but the Finalists' Concert was held in the Memorial Chapel at Bromsgrove School as the Routh Hall was still not complete. However, the Platform was expanded to include all three counties of Worcestershire, Herefordshire and Gloucestershire. The Platform attracted much attention and a very high standard of musicianship from all those who took part. Following the final Monica Toso took over the reins as Chairman of the Platform. The Bromsgrove Young Musicians’ Platform, after evaluation of its highly successful second year, expanded geographically in 2018 to cover the Three Counties (Worcestershire, Gloucestershire and Herefordshire) plus an area within a 30 mile radius taken from the centre of Bromsgrove, thereby including for the first time, part of the West Midlands. 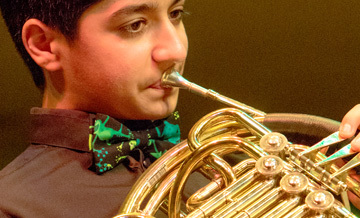 All young musicians who are either resident or at school in any of that total area were eligible to enter. Auditions and the Finalists' Concert will continue to place at the new music facilities at Bromsgrove School, which includes Routh Concert Hall. 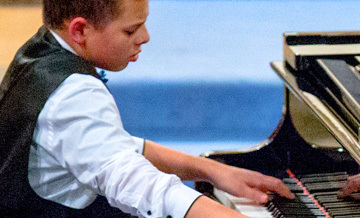 The trustees intend that through the futures of both The Bromsgrove Competition and The Bromsgrove Young Musicians Platform classical music will reach out to engage a much broader public and dispel the notion that such music is elitist. You can find out more about BIMC's history and future on the main site here.